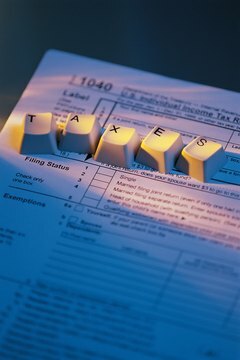 Can an Adult Who Is Not Disabled Qualify As a Dependent on an Income Tax Return? Relationships formed through marriage last forever for tax purposes. On your income tax returns, dependents may include children as well as elderly or disabled relatives. Dependents can also include able-bodied adults. Internal Revenue Service terminology defines dependency in terms of financial support, and people can be financially reliant on others at any age. The basic rules are pretty simple. First, you can't claim any dependents if you can be claimed as a dependent yourself, no matter how many people you might be qualified to claim. Next, you can't claim your spouse as a dependent, even if your spouse is totally reliant on you for income and doesn't work at all. You generally can't claim someone who is filing a joint return, with an exception made if the return is only filed to claim a refund and there's no tax liability. Finally, dependents must be U.S. citizens, resident aliens or nationals, or else be residents of Canada or Mexico. Some exceptions are made for adopted children, though. If these basic requirements are met, then you may claim someone as a dependent provided they could be considered either your qualifying child or a qualifying relative. Under certain conditions, a non-disabled adult might qualify as a dependent child. Qualifying children are the most common sort of dependent, but they include more than just your kids. The category includes foster kids, stepchildren, your siblings, your half-siblings, your nieces and nephews, and any descendants of these children. Qualifying children must be under 19 at the time you're filing and be younger than you or, if filing jointly, younger than your spouse. A full-time student can be a qualifying child until the age of 24. Regardless of relationship, a qualifying child must have lived with you for more than half the year in which you are filing, and they may not have provided more than half of their own support. 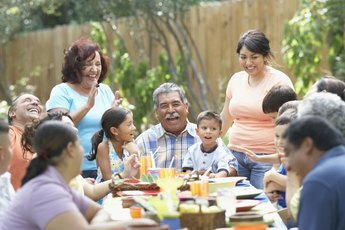 "Qualifying relatives" is the IRS category that includes relatives other than children and spouses. Qualifying relatives can't be considered qualifying children to you or any other taxpayer. 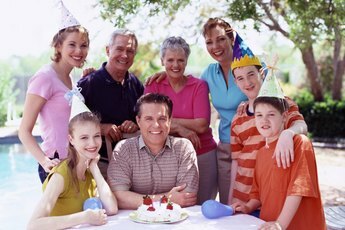 They must have a familial relationship to you if they don't live with you, but it's pretty broad in range and includes adult children, your siblings, your parents, grandparents, aunts and uncles, nieces and nephews, and any of the above relationships that were formed by marriage, like your parents-in-law or stepchildren. You can claim an adult who isn't related to you as a dependent, too; but to be considered a qualifying relative, that person must live with you all year. In either case, a qualifying relative may not have more than $3,700 in taxable income for the year, and you must have provided them with at least half their total financial support. A dependent, whether a qualifying child or relative, can only be claimed on one tax return per year. It may take a village to raise a kid and ship him off to college, but only one taxpayer, or taxpaying couple, if filing jointly, gets to reap the tax benefits. The same premise is true for your adult dependents. If no one taxpayer has met the support requirements, such as when four siblings each contribute 25 percent of a parent’s support, you can usually decide among yourselves who will claim the dependent. Your siblings just need to furnish you with a statement that they won’t claim Dad that year. If you can’t reach an agreement, use the same tiebreaker rule that applies to children who qualify for more than one non-parental taxpayer: The tax break goes to the person with the highest gross income. 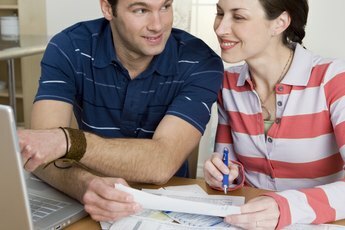 TurboTax: TurboTax Support: Can I Claim This Person As a Dependent? Can One Adult Claim Another Adult as a Tax Dependent? Can You Be Claimed as a Dependent for Tax Returns if You Are 18 Years & Above? On the Income Tax Form Can You Claim Your 17-Year-Old As a Dependent? Can You Claim a Disabled Adult Child as an Exemption if He Did Not Live With You? Can an Uncle Claim Nieces & Nephews? Can a Totally Disabled Spouse Be Claimed as an Dependent on Your Tax Return?